Consider where your bathrooms are. Is there a convenient bathroom for guests to use? You also might want your bathrooms to be out of view. Thinking about the kitchen, a good location is one that easily accesses outside. This placement would allow for proximity to grilling, taking trash out, and watching the kids play in the yard. Small bathrooms are a thing of the past. Recognize the need for space to take care of all your needs in the bathroom. When working in the kitchen, keep in mind the amount of space necessary for preparing food, cleaning dishes, and storing appliances. Consider bathroom and kitchen remodeling to increase usable space. Bathrooms utilize showers, sinks, and toilets. Kitchens contain a variety of appliances such as dishwashers, refrigerators, and ovens. Both rooms may have cabinets and closets. Think about your bathroom and kitchen, and examine the efficiency of the layout and the appliances. Improvements in these areas might save you time and money in the long run. 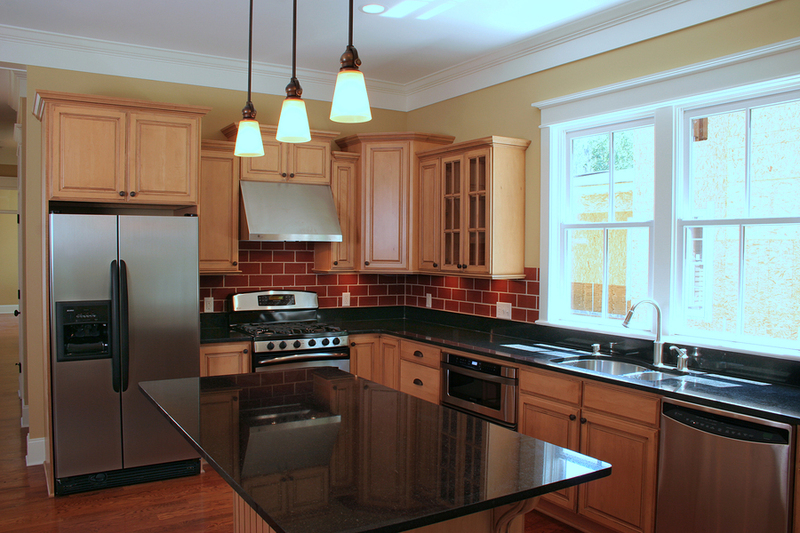 Revamp your kitchen and bathroom by contacting a licensed professional, today. These two rooms are very important to daily life in the home. Consider location, space, and efficiency. Contractors could better these aspects of your home. Hire someone for your next bathroom and kitchen remodeling.